Summer is great for spending time with family and friends, relaxing by the pool, and having a cold drink. 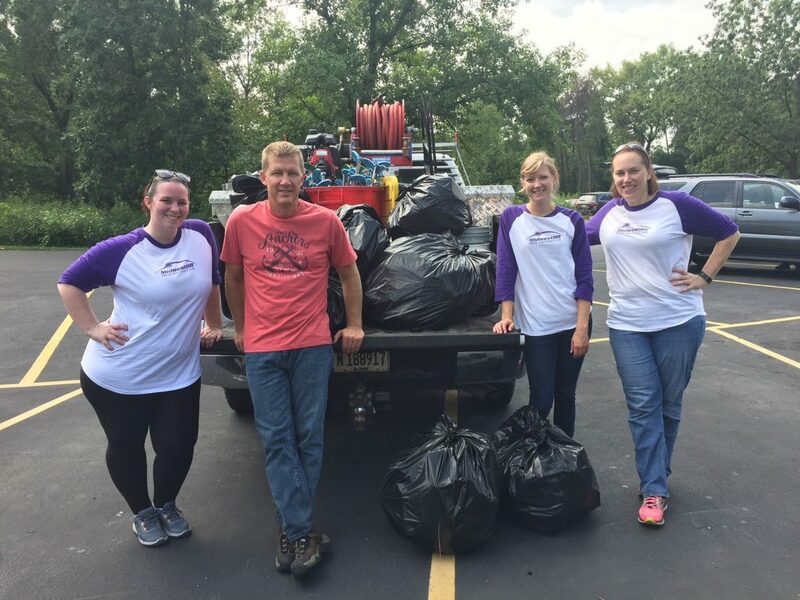 MidwestHR celebrated its summer with some old-fashioned community service! In June and July, employees of MidwestHR reached out to families, friends, neighbors, and schools to let everyone know we were collecting used crayons. The response from our community was overwhelming with us collecting over 4 full boxes of used crayons from teachers, family members, and neighbors which were then donated to SCARCE in Downers Grove, IL to help assist with their Super Crayons project. The Super Crayons project helps divert broken, unusable crayons from going to the landfill and recycles crayon pieces into “Super Crayons” which are large crayons in a variety of shapes used by children with special needs. In August, a few of our employees put on a very stylish orange vest and assisted with trash cleanup at the DuPage County Forest Preserve. Prior to arriving at their location, the ranger indicated the area they would be cleaning that day looked fairly clean so there shouldn’t be too much to pick up. Three hours and a very hot sun later, the MidwestHR employees completed their task and walked back to meet the park ranger. Overall, the ranger indicated that the four employees picked up twelve garbage bags of trash along the side of one highway, and one car fender. It was astonishing that twelve full garbage bags on one stretch of a road was considered fairly clean. It helped put “clean” into a new perspective of the way we treat these beautiful areas of our communities. Overall, it was a humbling experience that we hope to continue every year. This summer was a success for the 180 Initiative, but check back this fall to see what we do next!